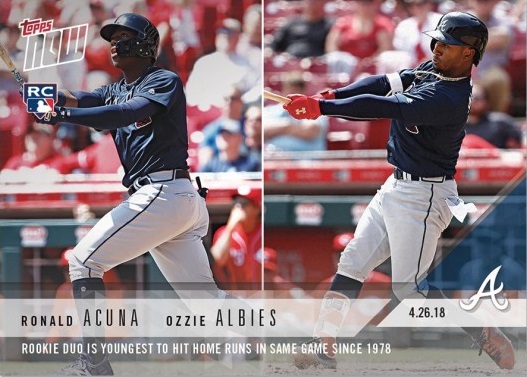 This is an official Ronald Acuna / Ozzie Albies Rookie Card produced by Topps Now in 2018. It commemorates the first time this duo hit home runs in the same game, including Acuna's 1st career home run. According to Topps, this card has a print run of 2,711 meaning 2,711 of these cards were produced.